So you want to adopt a Siberian Husky (whether puppy or adult) and need some help? Here are our top tips for adopting a healthy, happy Husky. Huskies are a medium-to-large sized dog that require a LOT of exercise. They have an easy going temperament but can get bored and destructive if not exercised and played with to keep up mental stimulation. Health issues are less of an issue these days but you should still be aware of them and know what to look for. We have some suggestions on how to approach the offer of a free puppy, which you might want to read up on. If the cost of buying a Husky from a breeder is concerning then you can check out our suggested alternatives. Siberian Husky rescue organisations are also recommended because they will help match you with the right dog, and make sure you are ready. Just remember the initial cost of the dog in the long run is insignificant compared to food costs, vet bills, toys and other rewards for your Husky. Huskies doesn’t always need a lot of space, and can live in apartments if given the right care. Despite being bred for the arctic they can even happily live in hot and tropical environments. But before you bring the dog home you should prepare yourself for toilet training, especially if the puppy has not been trained. Although the trip home with your new puppy is likely to be exciting, for some dogs it isn’t a great start to a new family. Check out our tips on car travel with Huskies so you can prepare yourself, not only for the trip home, but trips to the vet, to the park, and for vacations. Your Husky should be microchipped, either before you pick it up or as soon as you can thereafter. It is a quick procedure that will help reunite your dog with you if he/she goes wandering and is picked up by somebody else. Your local vet is likely to have a microchipping service, but so will local animal rescues and municipal councils. We have more information about microchipping here. If you are not sure if the dog you have adopted is chipped, or if you just want to register new details, you can get your vet to scan the chip and provide you with this information. Here we have covered a range of things to think about before running out to adopt a Husky in to your home. 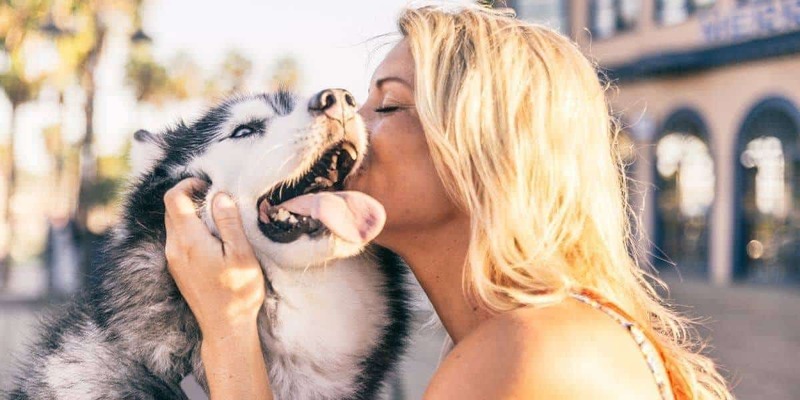 Bringing a pet home can be a wonderfully rewarding experience and enrich your life, but just be sure you know what you are getting in to with Siberian Huskies!